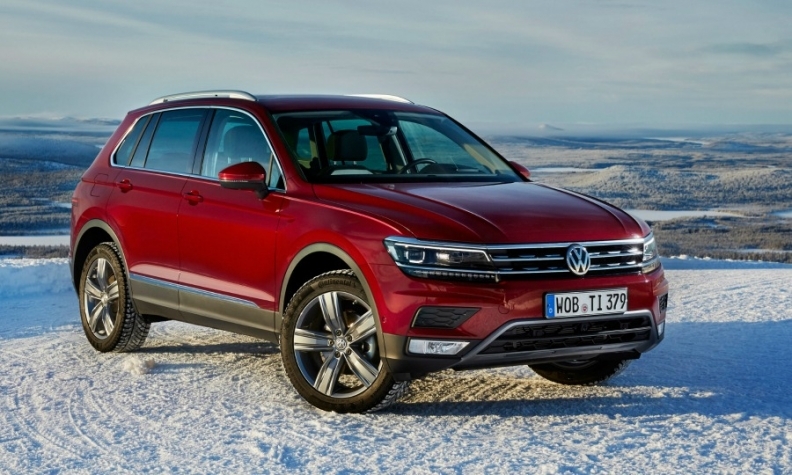 Unions want extra capacity for the popular Tiguan, shown. BERLIN -- Volkswagen Group's top labor representative has urged management to assign a new model to Germany to boost flagging capacity utilization. VW's powerful unions are concerned that a 3.8 percent drop in first-half group vehicle output in Germany, fueled by waning demand for the Golf and Passat models, could lead to further cuts in VW's high-cost home market. VW's works council wants a new model to be assigned to one of the three plants in Wolfsburg, Emden and Zwickau, said labor boss Bernd Osterloh, who is a member of VW's supervisory board. Osterloh also said management should overhaul assembly lines at the automaker's home plant of Wolfsburg to build an extra 40,000 Tiguan SUVs, VW's most sought-after model at present. The plant employs over 60,000 people and is grappling with low demand for the aging Golf. "A high capacity utilization of German plants is crucial for the success of the company and the jointly agreed future pact," Osterloh said on Wednesday in emailed remarks to Reuters. "We can achieve the productivity targets only by means of a high capacity utilization." Wolfsburg has already been chosen to build a midsize SUV for VW Group's Seat brand in 2018, using the group's cost-saving MQB modular platform that underpins the Tiguan. VW unions, whose members occupy half the company's 20 supervisory board seats, have threatened to withhold support for mid-term group spending plans on models, plants and technology due to be discussed by the board in November without a production road map from management, Osterloh said. "Workers will only approve the budget round if the German plants are utilized as agreed under the future pact," he said. VW last November agreed with unions to cut thousands of jobs through natural attrition, weed out red tape and cut r&d costs under a so-called future pact to increase low profitability at the VW brand. The carmaker plans to raise productivity at its German factories by 7.5 percent this year and next, and a further 5 percent in 2019 and 2020, counting on fixed-cost cuts and fine-tuning of r&d, procurement and production operations. Investors have said a turnaround at the long-struggling VW brand is key to reviving the group's fortunes following a costly diesel emissions test-cheating scandal. Osterloh said the carmaker has earmarked another 500 million euros ($587.20 million) in cost savings on top of the 1.5 billion of efficiency gains already budgeted this year, without providing details.